Whether you’ll be in town for a couple days or a full week, plan your path through the plethora of nature trails and mountain playgrounds that wind around stunning waterfalls and offer epic views of the landscape below. Jackson County is home to some of the most scenic rivers, mountains and trails in the eastern United States, making it the perfect addition to your mid-week mountaineer bucket list. A few local hiking favorites include Panthertown Valley, Pinnacle Park, Waterrock Knob, Richland Balsam, Yellow Mountain and Whiteside Mountain. Learn more about area hikes by visiting our recommended trails. Trade your two feet for two wheels and enjoy the various terrain and levels of difficulty while biking through the county. Looking to feel the burn? The Ring of Fire is a strenuous 38.2-mile loop that is a favorite amongst locals. New to Cherokee, The Fire Mountain Trails are a multi-use trail system that is perfect for those looking to mountain bike, hike, or run. 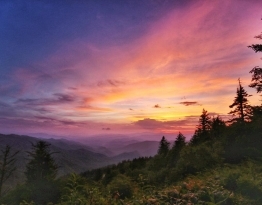 The network of trails, which adds up to more than 10.5 miles, winds through the Great Smoky Mountains and offers terrain perfect for all types of trail traversers. Those looking for a family activity can check out the Tuckasegee River Greenway that features a paved, flat and shaded one-mile there-and-back stretch paralleling the Tuckasegee River. Take a trip down the river and plan a rafting trip while visiting. Perfect for a low-key family adventure, or a heart-poundingly exciting one, plenty of outfitters in the area can take you for an enjoyable ride down one of the county’s whitewater rivers. 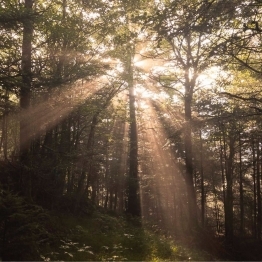 Avoiding the peak travel times means less crowds to share the trails with and more opportunities to un-plug, un-wind and savor the serenity the great outdoors of Jackson County has to offer. 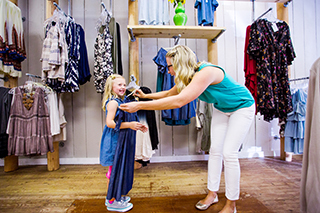 Each town offers a unique shopping experience that features local goods, art galleries, specialty recreational outfitters, upscale retailers, pottery shops and consignment stores for everyone’s wants and needs. The Cashiers retail scene features several upscale antique stores and home furnishings boutiques of many renowned interior designers, and women’s and men’s boutiques that carry high-end brands, estate jewelry, furs, suits, sportswear and accessories. Dillsboro’s walkable five square blocks are lined with local gift shops, art galleries and artisan studios which feature hand-made arts and crafts in the form of pottery, glass, metal or jewelry and Sylva’s pedestrian friendly Mainstreet is lined locally owned stores where visitors can find used books, sweet treats, outdoor equipment, records, and vintage market stores selling everything from clothes and gifts to antiques and mid-century modern collectibles. While the shops are quiet with patrons, you’ll notice the owners are lively with stories. Discover where you can go for the most unique finds, and must stop shops here. While traveling mid-week, take advantage of the quiet roadways and go at your own pace. 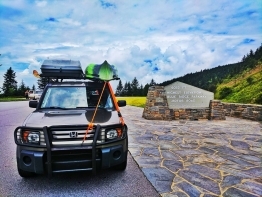 Take a drive on the Blue Ridge Parkway and pull off whenever the perfect photo op calls. Don’t worry about crowded overlooks – you’ll have them all to yourself! Find a list of the best scenic overlooks and pull-offs here. Just sit back, relax and enjoy the ride! Take advantage of a peaceful day on the greens in Jackson County. Known far and wide as a golfer’s paradise, golf enthusiasts from all over the world flock to Western North Carolina to challenge their skills on the area’s many well-known courses. The mild climate offers nearly four seasons of ideal playing conditions. The area offers golfers a variety of courses with terrain ranging from wide river valleys and rolling hills to fairways that roll and pitch. Perks to mid-week play include fewer crowds, open tee times and mid-week deals. Find the perfect course for you to play here. From lakes to rivers, Jackson County has a plethora of fishing opportunities awaiting those looking to reel in more than just a relaxing vacation during their visit. 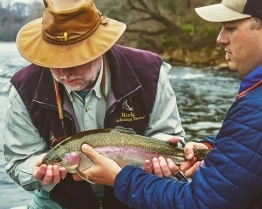 Jackson County is home to the Western North Carolina Fly Fishing Trail, stretching more than 4,600 miles of water and the first and only fly-fishing trail in the country. With 15 beautiful and varied stops, mid-week travelers should not miss out on these stocked waters filled with trout, bass and perch. With fewer fisherman on the water during the week, there is less competition for scoring the best catch of the day. Stop by one of Jackson County’s Visitor’s Centers to get a free waterproof WNC Fly Fishing Trail map and get tips on guide services for float and wade trips. A downloadable map is available here. Jackson County has become a culinary destination for fine dining, farm-to-table offerings and savory country cuisines. 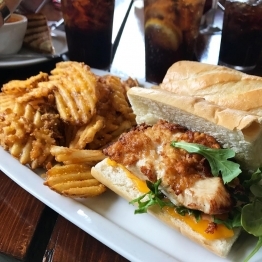 The best part about coming mid-week is there’s no wait for a table! You can be the first to sample the weeks specials and make sure you get your favorite. Check out dining options here. Start your day off right and grab a caffeinated beverage at one of the many locally owned coffee shops or cafes that serve a variety of specialty teas, lattes, and home-brewed coffee. Making its own mark in the popular Western North Carolina brewery scene, Jackson County is home to four innovative craft breweries: Innovation Brewing, Innovation Station, Balsam Falls Brewing Co., and Whiteside Brewing Co. Each brewery brings their own flavor and flair to the Jackson County brewing scene, giving all guests an excuse to sit back and relax with a beverage in hand during the week. If you prefer a craft cocktail, we have you covered there too! Jackson County’s local cocktail bars and restaurants have specialty cocktail menus with refreshing recipes that incorporate local and seasonal ingredients and flavors. Locals will fill these places any time of the week, so sit, sip and stay a while. Who knows, you might just leave with some new friends. Find the perfect place to grab the beverage of your choosing for your mid-week getaway here. Visitors to Jackson County are sure to have a great trip no matter what time of year, or time of week, they travel. Mid-week travel to the area means things move a little slower and businesses are a little less busy. Take the time to speak with and get to know the locals to gain a better sense of the colorful communities in our small towns. Personalities await at every corner and having the time to get to know them will be a memorable take-away from your visit here.